I had some meetings in Berlin at the end of November and took the chance to go to my favourite club there, the A-Trane to see Leona Berlin (that’s really her name). I had heard and read about her before and was simply curious to see her perform .. this time to present her first album live and she had put a decent band together with Gustav Anders on keyboards, Richard Müller on bass and electronics and Mathis Grossmann on drums. The repertoire came from the new album, with the exception of a brand-new song performed here for the first time and pretty good. 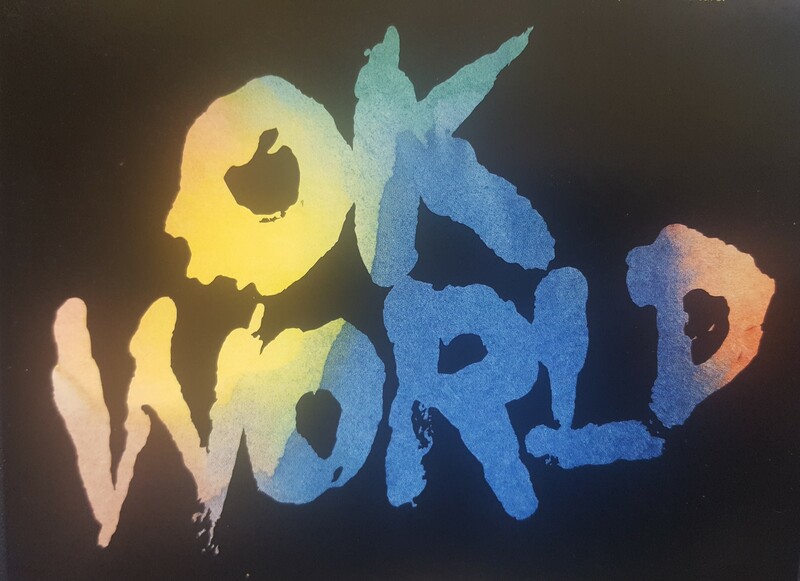 Some of the songs from the album and concert, like ‘Feel The Love’ and ‘Thinking About You’ as well as ‘Make Me Wanna’ are really good and groovy and came across well. It seemed the band and her leader need a bit more time to gel, but that’s only normal. She did a few songs on her own with loops and sounds and sounded really strong doing so. A great talent in terms of her vocals, not a jazz singer, but very much soul and modern R&B. She got still some way to go, but this first step is more than promising. 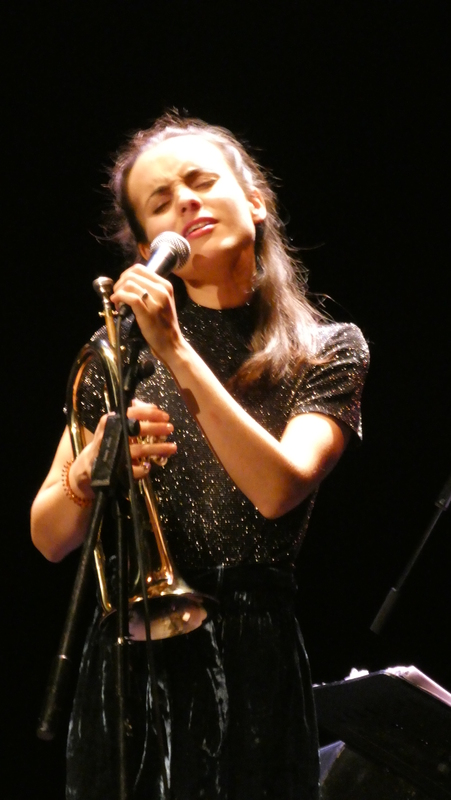 Back in Madrid I finally got a chance to hear young singer and Flügelhorn player Andrea Motis performing as a trio with Joan Chamorro on bass and saxophone and Josep Traver on guitars. An intimate setting in a beautiful theatre and laid-back music performed on top level … what more can one ask for? Motis is a good player and a great singer, working her ways through the great American songbook and a bunch of Brazilian classics, plus a few originals. Her sidemen did a great job in creating beautiful grooves and sounds for her to sing on and excelled in some pretty amazing soli. A new album is planned for early 2019 .. something to look forward to. 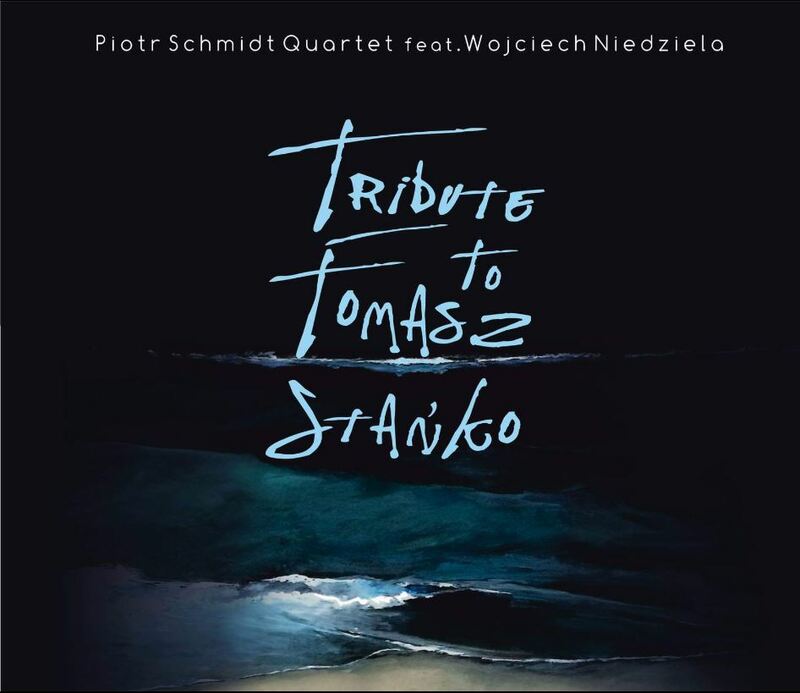 Piotr Schmidt / Tribute to Tomasz Stanko – Polish trumpeter Schmidt and his fellow musicians, Wojciech Niedziela on piano, Krzysztof Gradziuk on drums and Maciej Garbowski on bass, recorded this beautiful and touching music as a tribute to the late Polish master. The compositions are clear and in the same mood Stanko liked to record and the performance of all four musicians is outstanding. Schmidt can play anything and here he is melancholic and full of emotions and pianist Niedziela adds a lyrical touch to all songs, sublime supported by Garbowski and Gradziuk (both known for their work in the trio RGG). Besides listening to Stanko’s own records, as a tribute and to hear his influence on these players, check this out. Highly recommended. 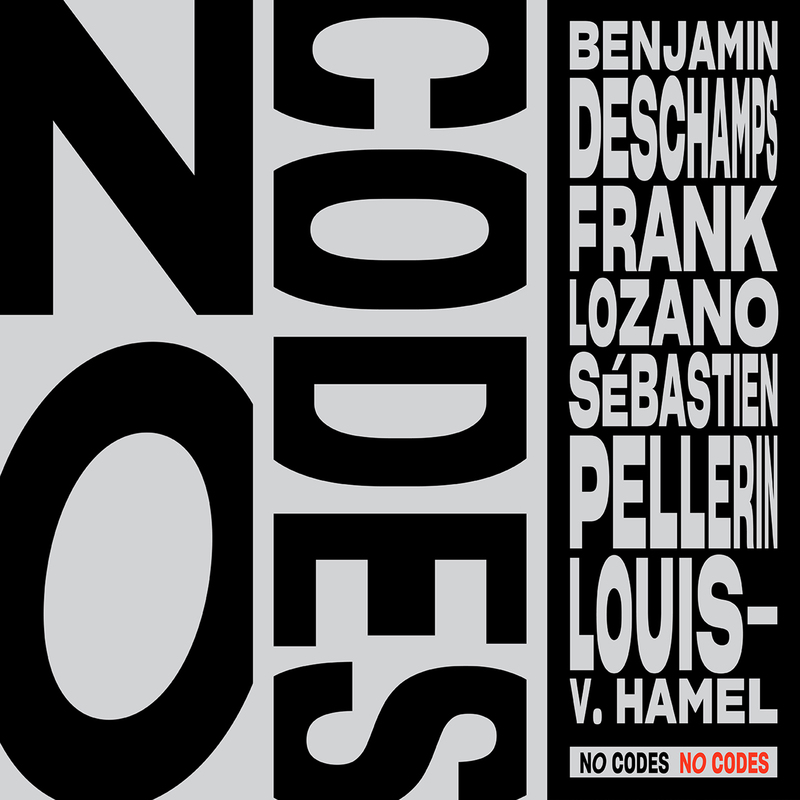 Benjamin Deschamps / No Codes – Young Canadian alto player Deschamps released a new album with his quartet, featuring highly acclaimed Canadian veteran Frank Lozano on tenor sax, Sébastien Pellerin on bass and Louis-Vincent Hamel on drums. Wonderful how the two sax players communicate and do their ‘call and response’ in the open and flowing compositions. This is a straight jazz recording, with some heavy swinging, free explorations and fantastic ensemble play. Modern and adventurous and them taking their ideas from many different sources to create a unique and powerful album. 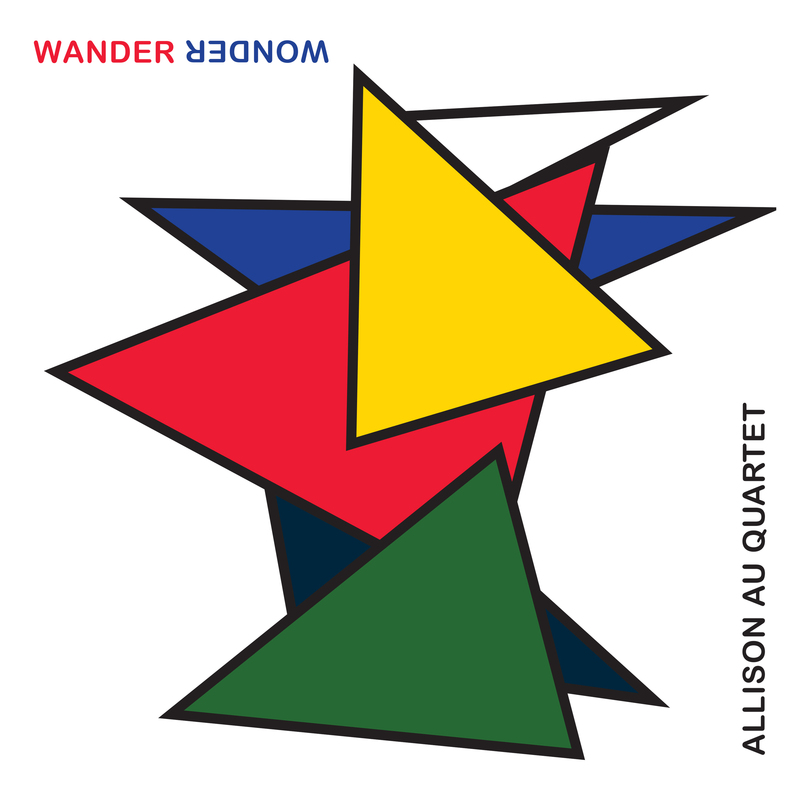 The Allison Au Quartet / Wander Wonder – 2016 JUNO Award winner for ‘Best Jazz Album of the Year: Group’ for ‘Forest Grove’, The Allison Au Quartet’s follow-up ‘Wander Wonder’ is another strong release of modern jazz. The four musicians Allison Au on alto saxophone, Todd Pentney on piano and Prophet Rev2, Jon Maharaj on Bass & Electric Bass and Fabio Ragnelli on drums take their inspirations from a wide range of influences, including Brazilian music and Wayne Shorter. Just listen to the outstanding tracks ‘Morning’, ‘Red Herring’ and A Trick of the Moonlight’ and get the swing and feel of these compositions, which represent a wonderful recording. NORDJORDET – Øyonn Groven Myhren / Bugge Wesseltoft and others create a mix of Norwegian folk music on traditional instruments and ambient music. Incredible! Bendik Baksaas / Seine sviv – Electronic music mixed with traditional Norwegian vocals by Helga Myhr. Enchanting! Adama Barry / Lembi – beautiful traditional music from Burkina Faso, featuring Solo Diarra on the original recordings plus some remixes of these songs by Henrik Schwartz, Mental Overdrive and others. A unique production. Matona’s Afdhal Group – Matona, a vocalist and oud player from Zanzibar collaborating with Norwegian jazz musicians. Cool. Sanskriti Shrestha Avatar / Brijanga – tabla player from Nepal, who lives in Oslo, with her debut album, featuring a host of Norwegian musicians and combining tradition with improvisation. Captivating! 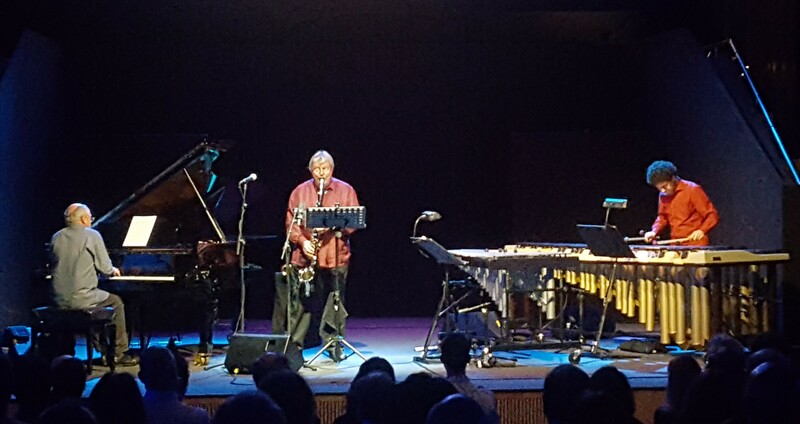 John Surman with his ‘Invisible Threads’ Trio at the Conde Duque – beautiful little melodies performed by three masters of their genre: Surman on bass clarinet and soprano saxophone, Nelson Ayres on piano and Rob Waring on vibraphone and marimba. John Surman is a European Jazz Legend as a composer as well as a performer and creative improviser and here his compositions, as well as the ones of the other members of the trio, gave the musicians space to develop ideas around the melodies, to follow the mood of the moment and create new music on the spot. The combination of the vibraphone with the piano sounds powerful and supportive to the main improviser, but the vibes on the other hand as well add a percussive element to the music. A wonderful, contemplative musical experience by a trio that revelled in its togetherness … and the album with the same name is a great addition to an already impressive body of work by the British musician. 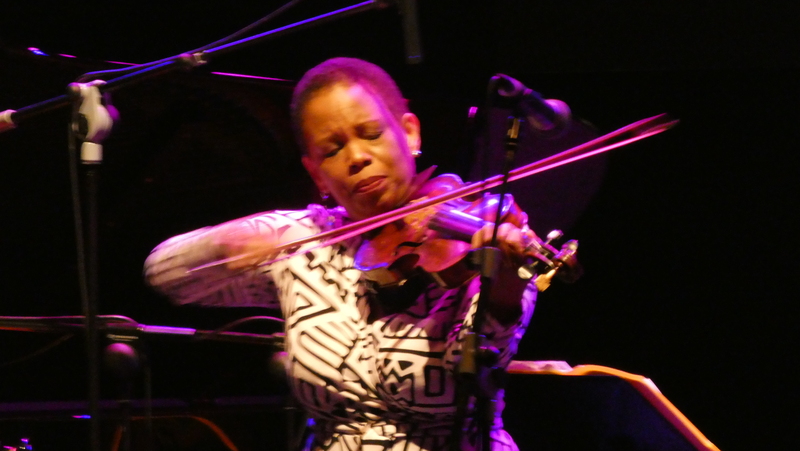 Violinist Regina Carter hasn’t been in Madrid too often and a visit is always a chance to enjoy her unparalleled playing. 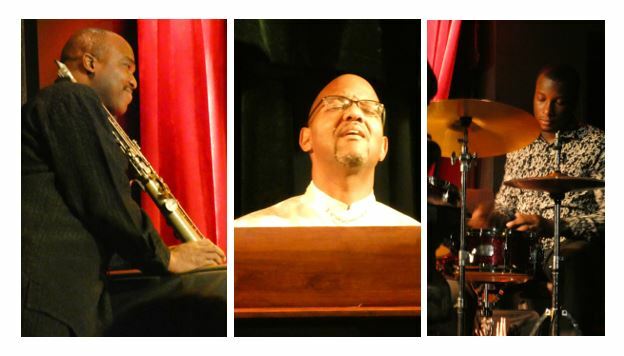 Her group featuring Xavier Davis on piano, Chris Lightcap on bass and Alvester Garnett on drums dug deep into the repertoire of her latest album ‘Ella .. Accentuate the Positive’ and delivered a memorable concert mainly of compositions connected to the great singer. Carter is an outstanding improviser, swinging through these songs with ease, who as well did sing on occasion, especially wonderful in a composition by bass player and vocalist Richard Bona. Her band perfectly supported her with Davis outstanding in filling spaces and his melodic improvisations. Exceptional! 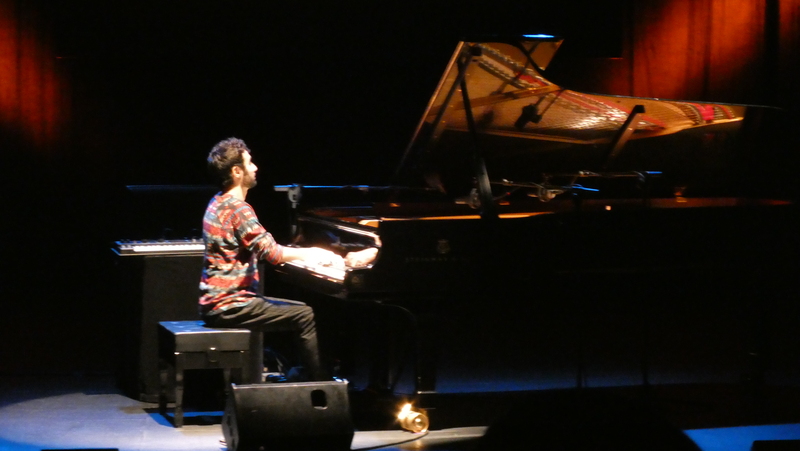 Tigran Hamasyan followed up last years impressive solo concert with another wonderful performance, showing his improvisational skills, using his own compositions from his two recent solo albums ‘An Ancient Observer’ and ‘For Gyumri’ as a base for his musical excursions. Floating between jazz parts, Armenian folk music elements and classical themes, Tigran combined his various musical influences into one single and unique voice on the piano. One song performed on keyboards with electronic sounds and loops, was an interesting exercise in what he can do with these instruments, but felt a bit lost within an acoustic piano performance, which entranced the audience. 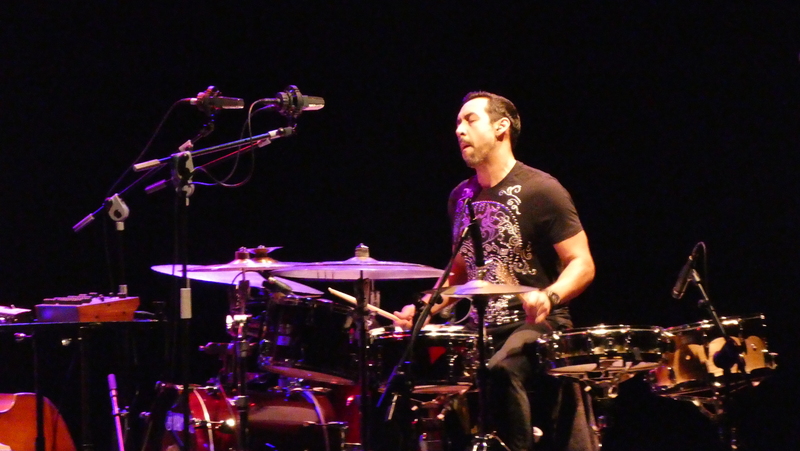 Antonio Sanchez and his band Migration ended for me JazzMadrid18 with a captivating show. Sanchez made it clear that his music has a political and human message to it, by not only dedicating the concert, but as well the forthcoming album ‘Lines in the sand’, to migrants all over the world. He especially pointed to the situation on the borders between the US and Mexico … and the music of this amazing group reflected all the despair and suffering, but as well all the hope and joy of these migrants. The group Migration features beside the leader and drummer Sanchez vocalist Thana Alexa, Chais Baird on sax and EWI, John Escreet on piano and Orlando de Fleming on bass, all leaders in their own right and they created a powerful sound as a unit, being able to express all emotions together. No matter whether it was a beautiful little melody or a free-flowing soundscape they performed everything as a group and got a deserved standing ovation from the enthusiastic crowd. A powerful statement in many ways! 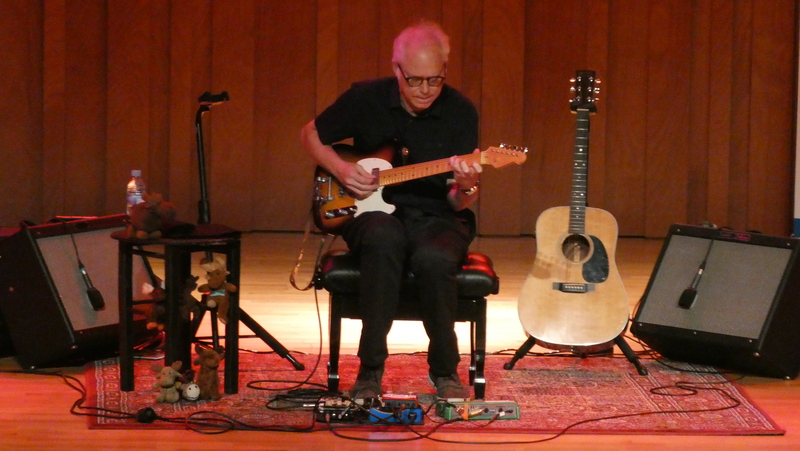 Monday, November 12th – as part of the 50th Voll-Damm Festival Internacional de Jazz de Barcelona, Bill Frisell did a workshop and a rare solo concert that day – what a treat. The concert confirmed Frisell’s status as a unique story-teller on his instruments – with the help of some loops and sounds he ’told’ the audience his stories, plus some about what the world needs now and a finger turning everything into gold that it touches. Stories told in the tradition of the ancient story-tellers, the same in content, but different in the wording, every time. A true story-teller lives his stories and puts emotion into the description of the world the stories play in … Frisell is a master in this and solo he can focus on how he wants to express himself even more than in a group setting. There is no question that Bill Frisell is one of the great musicians and improvisers of our time … and I simply love to listen to him telling his stories. 2 days later trumpet player Nils Petter Molvaer visited Madrid as part of JazzMadrid 18 and brought his amazing group featuring Johan Lindstrøm on guitar and pedal steel guitar, Jo Berger Myhre on bass and Erland Dahlen on drums with him to perform the music of ‘Buoyancy’, his latest band album. Molvaers music, in its mix of ambient sounds, jazzy grooves and rock elements can make you fell like you are floating in a sea of music, being thrown around by the different strengths of the sounds, the waves coming in a rhythm and move you as if dancing on the surface … then a tsunami of sounds washes over you and takes you up, only to let you land on your feet again, carried by the crystal clear sound of the trumpet. There is no genre to this, it is just great music, powerful and touching. Thursday, Michel Camilo performing in Madrid a solo concert in support of his latest release, a solo live recording from London. Camilo is a powerful performer with an incredible left hand and again showcases his amazing technical abilities on his instrument … starting with a groovy ‘Island Beat’, which immediately gets the audience going. But Michel is not only a power player, his sensitive touch in the ballads, like in his own ‘Sandra Serenade’, is beautiful and draws the audience into the essence of the song. But the highlights in his shows are the faster compositions and for me one of these is his incredible solo version of Paul Desmonds ‘Take Five’, which he originally recorded for the ‘What’s Up?’ album, another solo gem in his catalogue. Camilo is a versatile showman and incredible improviser … check him out live or get the Live In London album … definitely worth it! How better to end this amazing week of great music than with singer Stacey Kent and her band, featuring saxophonist, flautist and composer Jim Tomlinson, Graham Harvey on piano, Jeremy Brown on bass and Josh Morrison on drums. Despite some difficult travel on the performance day and Stacey battling a bit of a cold and a cough, she performed beautifully and the band, especially Tomlinson and Harvey, laid down wonderful support for her voice, as well as playing some touching soli. To keep the voice safe, the repertoire of the evening was mostly ballads and mid-tempo songs, from Brazil or France … compositions by Jobim, Valle, Gainsbourg, Ferrer and others, as well as the song ‘Bullet Train’, composed by Tomlinson with lyrics by Literature Nobel Prize winner Kazuo Ishiguro and one of the highlights of the evening. A very laid back, but musically captivating concert. 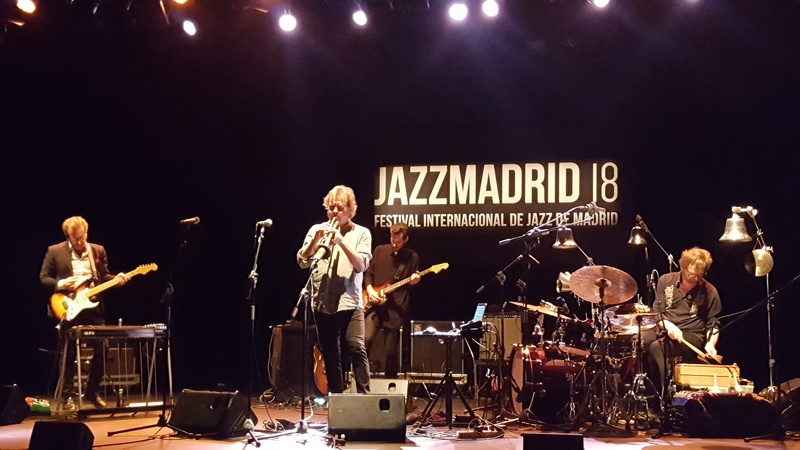 Before the 2018 Madrid International Jazz Festival took off on November 6th, I got to see two very impressive and groovy shows in town – on the 4th at Bogui Jazz the James Carter Organ Trio and on the 5th the wonderful Combo 66 by John Scofield. Carter’s organ trio, featuring Gerald Gibbs on Hammond B3 and Alex White on drums, is a powerhouse of grooves and heavy beats, but wonderful as well on delicate ballads. James Carter is one of the most accomplished saxophonists of his generation and his horn gives him an outlet to scream, howl, tell you a story or whisper something into your ears. His range of expression on his instrument seems endless, from powerful wails to simple and beautiful melodic excursions, always given context by the sounds of the organ. Gibbs, a master of his instrument as well, works with Carter for many years and one can hear that by the way they react to each other. Always great to see James Carter and move with the groove of his exceptional trio. 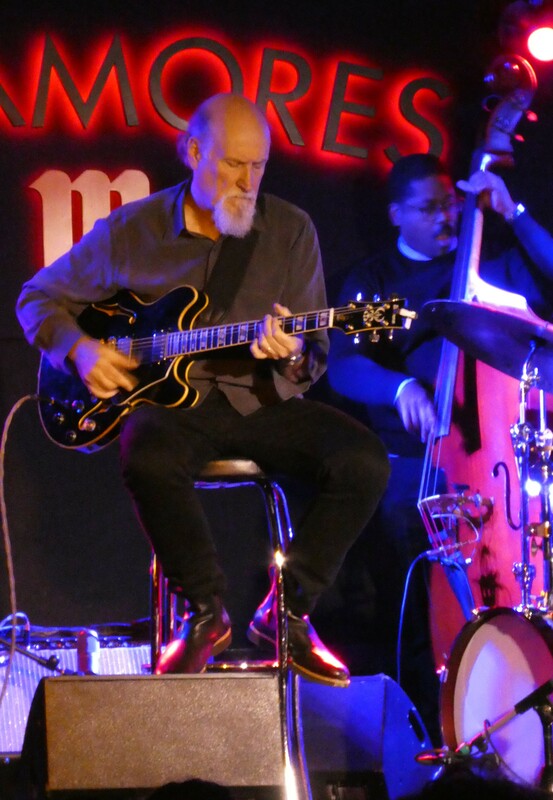 John Scofield performed mostly the music of his new album, Combo 66, titled the same as his new band, featuring Gerald Clayton on keyboards, Vicente Archer on bass and trusted companion of many years, Bill Stewart on drums. This is more of a jazz band than some of the other Scofield groups, but they still groove and rock when asked for! Clayton is a very fine pianist and organ player and with this group he shows that he really is up for the groove as well as the finer things in music … Scofield is an innovative improviser, composer and performer and this gig was no exception … a feast for guitar fans. John will always be the main focus of his shows but without taking the shine off his band, which sounded very tight and together and really acted as a group and less than just the support for the main man. And they got their audience with a passionate and powerful performance of the new compositions by John Scofield. If you don’t get a chance to see this amazing band live .. go and get the album – Combo 66!! 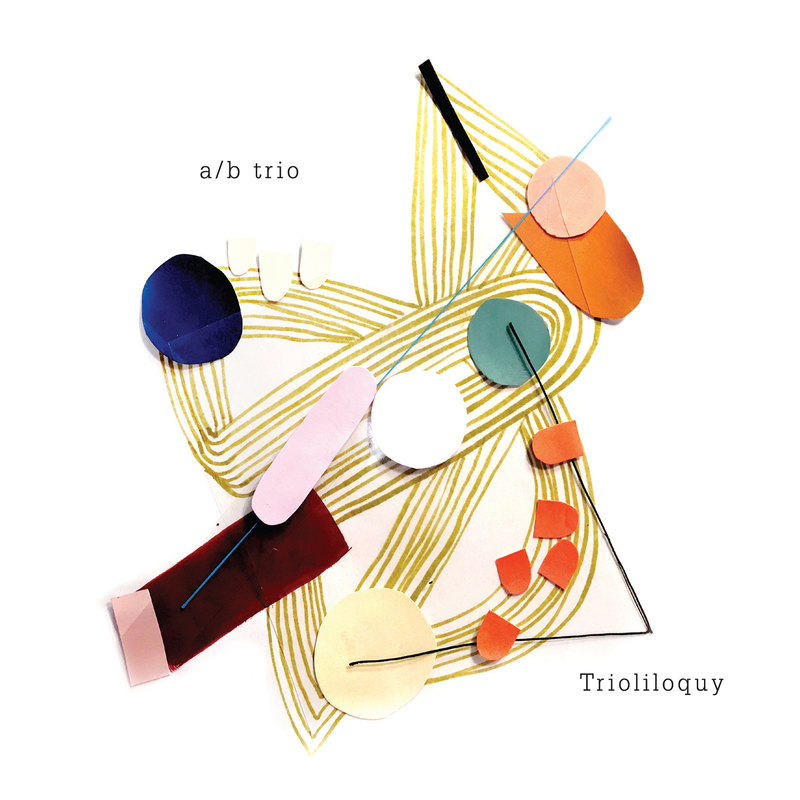 A/B Trio / Trioliloquy – this new record by the Canadian A/B Trio was just released and features next to the trio of saxophonist Dan Davis, bass player Josh McHan and drummer Thom Bennett, the wonderful trumpet master Kevin Turcotte on 5 of the 8 compositions on Trioliloquy. This is a wonderful swinging, grooving jazz record with some incredible ensemble play and individual contributions. The musicians move in free spaces to then get together on the theme they earlier improvised on, only to take the conversation further into the essence of their music. Outstanding tracks for me are ‘Roundabout’, ‘Trioliloquy’ and ‘Bluesaholic’. Inspiring in its variety and overall quality and a real joy listening to!! The news of the untimely passing of trumpeter Roy Hargrove at the age of 49 have been a shock to the jazz world and to me personally. 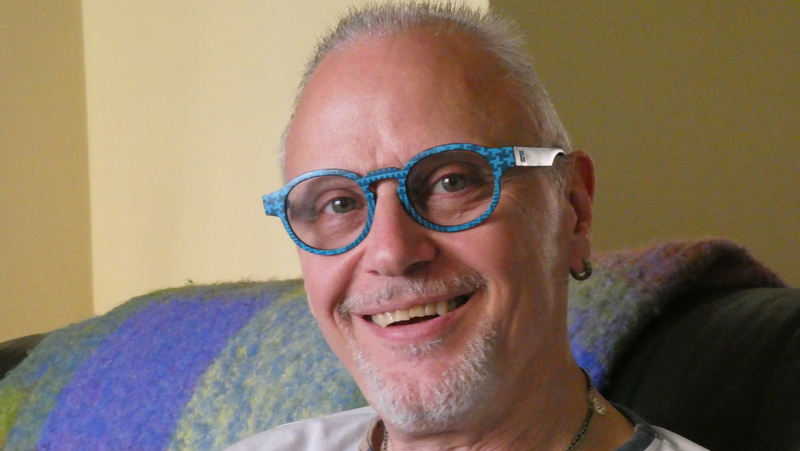 Roy has been a companion in my professional life since 1994, when he released his first Verve album ‘With The Tenors Of Our Time’ for which I coordinated the international marketing and promo efforts. I worked with him on most of the follow up albums to that, including such masterpieces as ‘Family’, ‘Moment To Moment’ and the wonderful ‘Habana’, which won him a Grammy. Roy opened the doors for all the young musicians playing a modern jazz by including R&B and Soul into the mix – his RH Factor recordings and his work with D’Angelo, Common and others are outstanding testimony to that. Later I signed Roy to the EmArCy label and we released his so far last two studio recordings – the amazing quintet album ’Earfood’ and a big band recording entitled ‘Emergence’. But most of all I will remember Roy as the man who made the late-night jam sessions at the Hotel Bel Air something truly special – the place to be during the North Sea Jazz Festival when the event still took place in The Hague – hours of jamming and playing with such energy, power and passion. 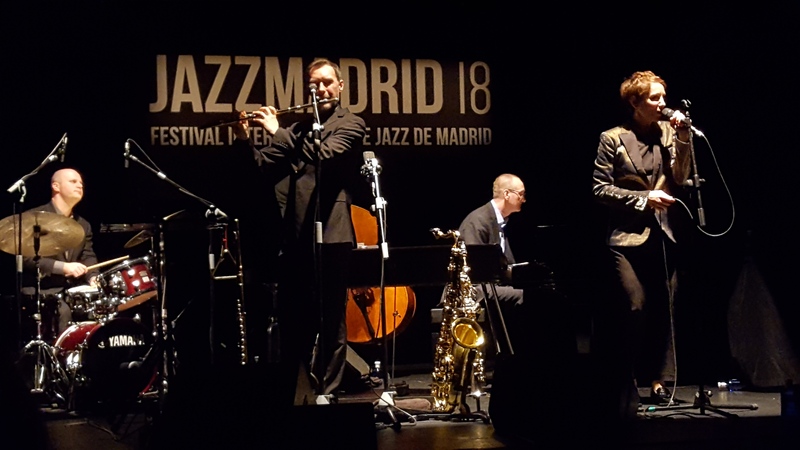 Once in Vitoria-Gasteiz at the festival there I saw him doing a trumpet battle in the early hours with Wynton and Nicholas, supported by the Eric Reed trio … unforgettable!!! I never heard anything like it since … a true battle, but done with smiles all around and musical inspiration that came from sources within, something only the really great musicians have!! Roy battled most of his life with his demons, then with his kidney problems, but when he went on stage he was pure focus and pure music! When I hear and saw him in Rotterdam in July this year he sounded great and played wonderful Soli to a grateful and enthusiastic audience. 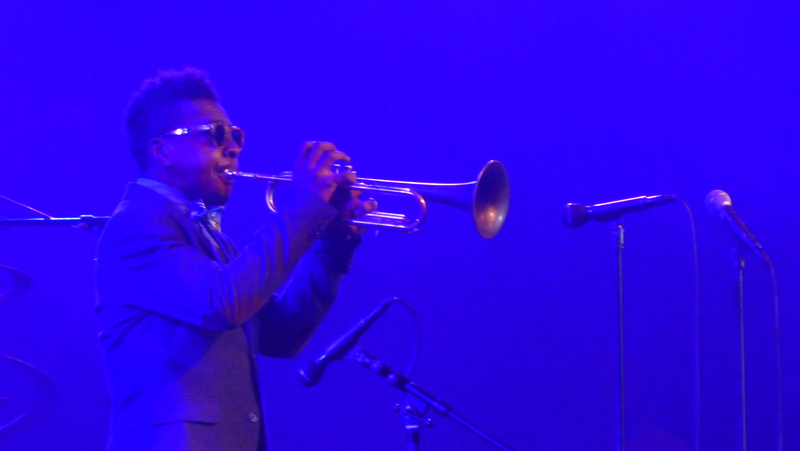 Roy Hargrove will always be remembered as a great musician, innovator, improviser and fantastic composer and will be missed by many – me including. Myles Sanko, Soul singer, came to Madrid on October 13th for a sold-out show at the club Clamores and he and his band got the all standing audience going from the first song until deep into the night. Sanko has a beautiful voice, perfect for the grooves of his modern, but set in the tradition of the genre, soul and for the ballads he performs touchingly. The repertoire came from his catalogue of 3 albums, mostly from the recent release ‘Just Being Me’, and confirmed his incredible song writing skills. The band was perfect in supporting him, as only a band one is working with for a longer period, can be – intuitively knowing where the singer is going next. A powerful show, which had the audience singing along to his songs and the few, incredibly well-done, Soul covers! Myles Sanko is a singer I will surely try to see and hear for many more times to come. The regular reader of this little blog will know how much I do like Madeleine Peyroux and her new album ‘Anthem’ in no exception – another collection of wonderful written and performed originals! On October 28th she presented these new songs, plus some of her older successes, in Madrid’s Auditorio Nacional with Aram Bajakian (guitar/voc), Andy Ezrin (keyboards/voc), Paul Frazier (bass/ voc) and Graham Hawthorne (drums/voc) to an attentive and thankful audience. Her phrasing is so unique and special and the band kept themselves in the background most of the time, to give the voice the ambience to shine. Outstanding her little solo medley – just her and her acoustic guitar doing a song in Spanish, then going into ‘J’ai Deux Amours’, before drifting into a Blues and a Spiritual … intimate, beautiful and touching. One of the most outstanding singers and song writers of our time! 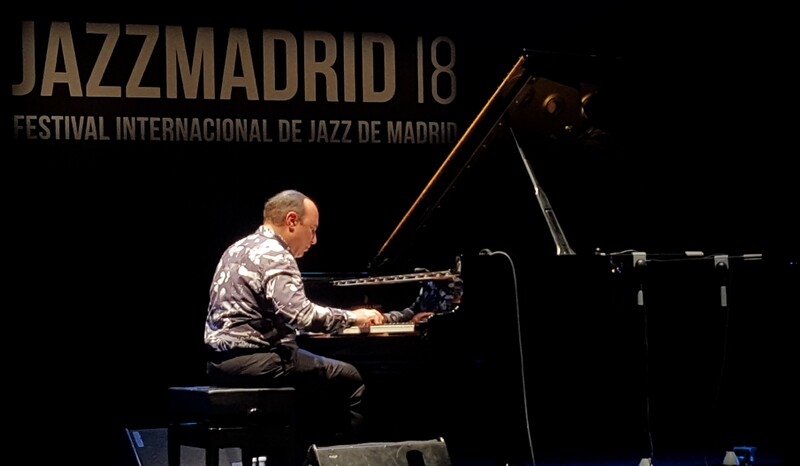 The month for concerts ended with a show by pianist Ethan Iverson of The Bad Plus fame and saxophonist Mark Turner, a member of the amazing FLY trio. The duo just had released their first album ‘Temporary Kings’ and are on tour in Europe to promote the album. This is an intimate musical communication between friends, performing standards like Coltrane’s ‘Giant Steps’ or ‘Chelsea Bridge’ on an extremely high musical level, powerful but as well full of emotions. Their own compositions for the duo are showing understanding and respect for each other and are touchingly beautiful. Both explore wisely the freedom the duo setting gives them and in the end the music and the audience are benefiting from that! Masters of their instruments not holding back! R.I.P. Sonny Fortune. I discovered the amazing sax player via his 1974 release ‘Long Before Our Mothers Cried’ and the following two recordings ‘Awakening’ and ‘Waves of Dreams’, from 1975 and 1976 respectively. I enjoyed his Blue Note recordings of the 1990’s, as well as the 1994 album with Gary Bartz ‘Alto Memories’, released on Verve Records. A powerful player who will be surely missed. Wayne Shorter / Emanon – In times when everything goes to streaming platforms and packaging becomes less important, Wayne Shorter and his label Blue Note turned the world on its head: a 3-disc or 3 LP set issued with an 84-page illustrated novel, only available in this format and not digitally … and surprise, surprise: it sells! Deservedly so, as the music of the three discs is simply divine, whether it is performed by the Wayne Shorter Quartet (Wayne, Danilo Perez, John Patitucci and Brian Blade) or the quartet with the Orpheus Chamber Orchestra. Shorter is not only one of the most prolific improvisers of our time, but as well an important composer and the set confirms these statements: the live discs from London show him and his incredible musicians explore the compositions with inventiveness and inspiration and stretching the songs into the unknown, before returning to the essence of the pieces; the orchestral recordings on the other hand focus on the composition, have a more fixed structure, which nevertheless gives Shorter space to improvise over the written parts. This is nothing less than a major musical statement by an artist without limits. Go and get it! Paula Grande / SÓC – I really love the second album by Paula – it’s songs, vocal performances, the richness of styles mixed in a way only she can do, the use of language to enhance a song and the use of samples and sounds to create colours and grooves … but always recognisable as her!! Very impressive work! It starts perfectly with ‘Moving On’, showing already in that song that there are no boundaries for her and her music – different languages, grooves and sounds .. this is not jazz, not soul, not pop, but a mix of all of this and makes a lot of sense, as in ‘Ké Mundo’ with it sound bites and her singing, rapping and doubling up her voice … ‘Uno por’, ‘Quiero’ and ‘Me Interesa’ are other gems to check out. Not a boring second on that album. Ant Law / Life I Know – for his 3rd album guitar player Law brought together some of the finest young British musicians: Mike Chillingworth on alto saxophone, Ivo Naeme on piano, Tom Farmer on bass and James Maddren on drums, as well as Tim Garland on soprano as a special guest on the closing track ‘Credits’. The compositions are Law’s statement of his art today and are drawing the listener to pay attention and therefore enjoy the richness of this music. Extremely well performed by all musicians with some incredible guitar work by Law. Ant Law is establishing himself as a major player in Europe and deservedly so. There is a lot of great music coming out of Canada lately, or maybe it is just I know more about this extremely creative scene now. Some of the new releases getting hold of are ‘Fearless and Kind’ by the group Way North – jazz you can dance to by a group who put fun back into this music. Drummer Ethan Ardelli’s The Island of Form and Toronto big band Collective Order’s Vol. 3, a musical trip through the multicultural city. The most interesting album for me nevertheless is by the Montreal based band Lawful Citizen. Their ‘Internal Combustion’ is a wild and captivating mix of heavy guitars, powerful saxophones and a grooving rhythm section. Evan Shay on tenor sax, Aime Duquet on guitar, Antoine Pelegrin on electric bass and Kyle Hutchins on drums are behind this outstanding music, which successfully integrates jazz, metal, electronica and Americana into something new and definitely worth checking out. 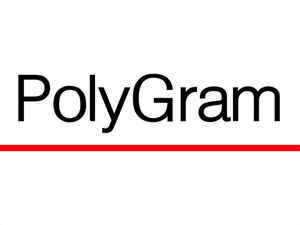 October 15th 2018 – on this day 35 years ago I started my first job in the music industry at PolyGram in Vienna, Austria, being the # 2 of the small operation of their Import Music Service. I had run a jazz club in Vienna with some friends before that and started a jazz magazine with others as well, but this was the start of so far 35 incredibly rewarding years, working with artists and their music. After a few months I took over the little operation IMS and started to sign jazz labels for distribution in Austria – Gramavision for example and imported all the Fantasy, Milestone, Prestige, Riverside and Pablo recordings and with that made some good business and increased the turnover of the little operation. 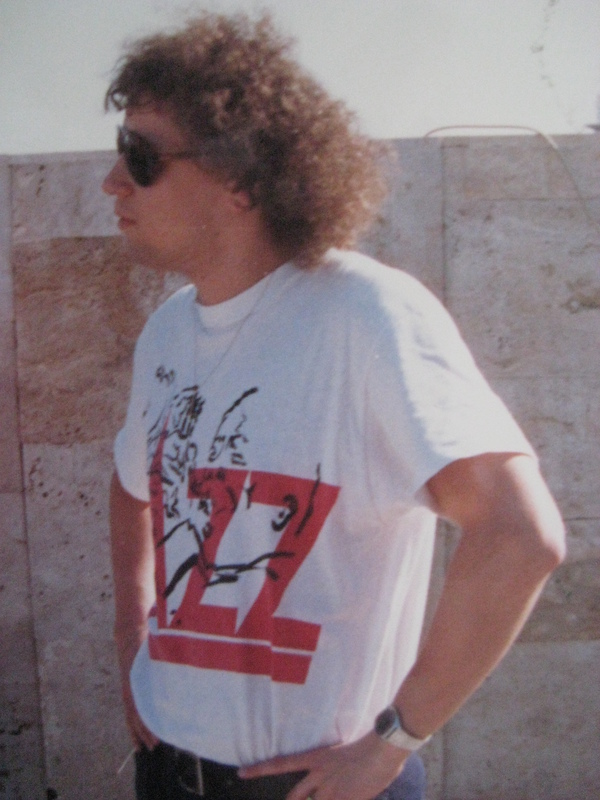 After I moved on to the pop division as a product manager for UK releases, I still kept an eye on the jazz world and was able to secure a deal with ECM for Austria as well. After a few years on the job, meanwhile heading the international product division, I was allowed to begin local jazz productions with Wolfgang Muthspiel, Wolfgang Puschnig, Linda Sharrock and the Vienna Art Orchestra, to name just a few, on the amadeo label. Puschnig’s ‘Pieces Of The Dream’ was the first of these to be made available internationally in 1988, followed by many others. These productions obviously got the attention of our big bosses, who were planning to re-organize the global jazz structure and they offered me the job to do so. In 1992 I moved to London to co-ordinate the global PolyGram jazz activities and do the worldwide marketing and promotion for the big albums within the jazz world .. these releases coming mainly from the USA (Verve and Antilles), France (EmArCy) and Japan (jmt). 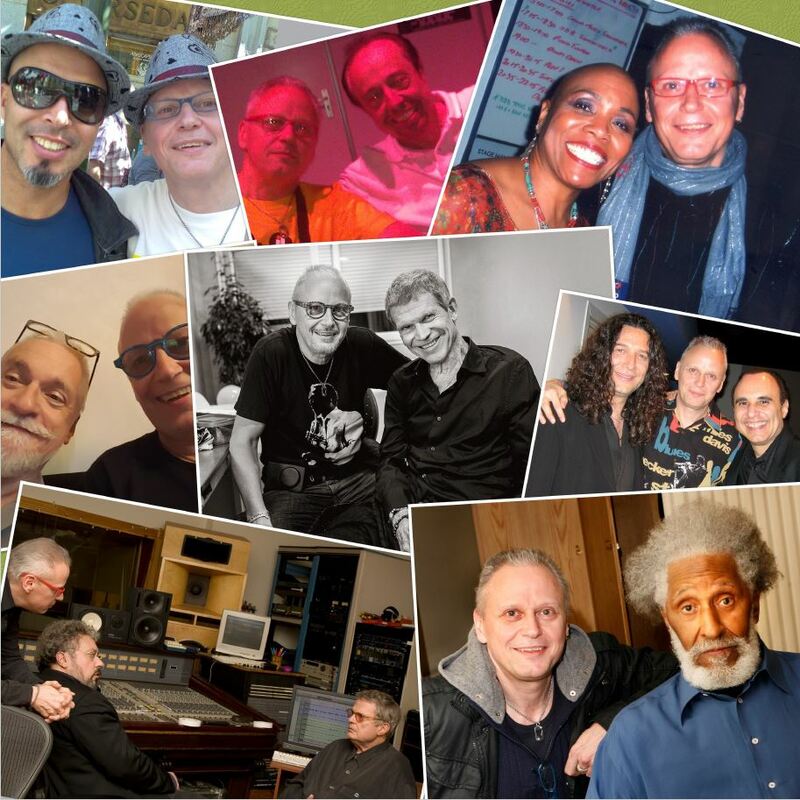 It was like a dream – I met all my favourite jazz musicians, got to work with many of them and made a lot of friends. We marketed records by Betty Carter, Abbey Lincoln, Shirley Horn, Dee Dee Bridgewater, Joe Henderson, Wayne Shorter, Roy Hargrove, Charlie Haden, Herbie Hancock, Diana Krall, Ornette Coleman, John Scofield, John McLaughlin, Randy Weston, David Sanborn, Dave Holland, George Benson and Michael Brecker among many others. When Universal bought PolyGram in 1998 I was asked to continue in my position as V.P, International Marketing for Classic and Jazz priorities, but added A&R for EmArCy records to my portfolio as we got less records from the US as the international markets needed to have the jazz operation run successfully – therefore I oversaw some local jazz activities and started to sign artists to EmArCy, the old mercury jazz label. John Scofield, Dee Dee Bridgewater, Madeleine Peyroux, Branford Marsalis, Roy Hargrove, Michael Brecker, Michel Camilo, The Bad Plus, James Carter, Sonny Rollins, Terry Callier, Tuck & Patti, Randy Crawford & Joe Sample, Ketil Bjornstad and others were signed by me then, as well as youngsters Julian Lage and Gerald Clayton, whose first releases appeared on EmArCy in 2009. Artists signed to local Universal companies I worked with at that time include Maria Joao, Till Bronner, Eleftheria Arvanitaki, Anna Maria Jopek, Bugge Wesseltoft and his Jazzland Recordings, Monday Michiru, Jef Neve, Karen Mok and Sergio Mendes among many more from various countries. After leaving Universal in 2010 I set up All-In-Music-Service with my wife, as a consultancy for labels and artists and we started to book some artists in Europe, like Branford Marsalis, but that we only did until 2016. Since 2012 we are working for Sony Music’s classical division Masterworks. There I was asked to re-built the old OKeh imprint into a jazz label for today. In quick succession I was able to sign and release albums with John Medeski, Bill Frisell, Michel Camilo, Craig Handy, Dave Holland, Dhafer Youssef and Jeff Ballard. To make a point that OKeh was there to be taken seriously we released albums by young musicians such as Nir Felder, Somi, Theo Croker, James Brandon Lewis and Jo-Yu Chen and to show as well that we could attract major talent and have a roster covering all aspects of improvised music I signed and released albums by Sonny Rollins, Sergio Mendes, Dee Dee Bridgewater, Branford Marsalis, Kurt Elling, David Sanborn and Till Brönner. Beside that I was involved in or oversaw local releases within the OKeh family by Kat Edmonson, The Bad Plus, Regina Carter, Nils Petter Molvaer, Robin McKelle, Silje Nergaard, Camille Bertault, Baptiste Trotignon, Mario Biondi, Stacey Kent, Rebekka Bakken, Hugh Coltman, Bria Skonberg, triosence, Markus Stockhausen, BamesreiterSchwartzOrchester, the Polish trio RGG and Sly & Robbie plus Nils Petter Molvaer. The dream continues and while still looking for new talent and having some on a list as possible signings, the work with the musicians on the roster is as rewarding as it always has been. The artists I worked with directly and the albums they released gathered numerous awards around the world, including 4 Grammys, 1 Latin Grammy, 5 ECHO awards and top awards from France, Japan, Holland and many more countries. I am honoured to call some of these amazingly creative people my friends and I am aware of and grateful for the luck I had in life being able to make a job out of my passion for music and especially jazz. 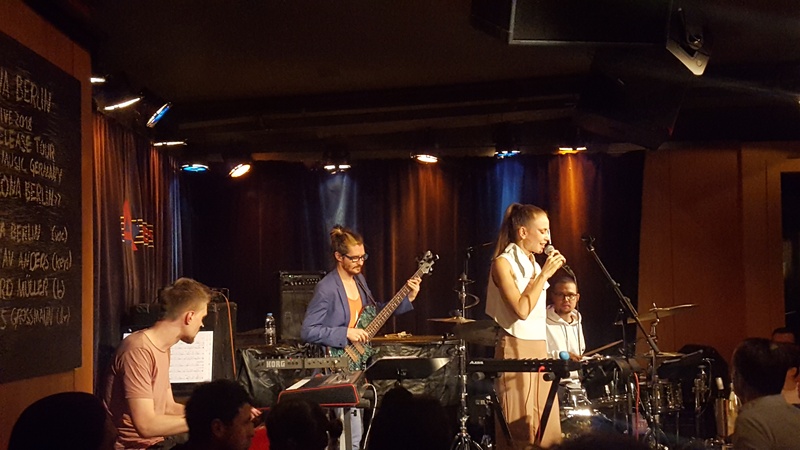 I am happy to share my experience and knowledge with young musicians in events like Take 5, the UK initiative for young jazz musicians, or the Montreux Academy, organised by the jazz festival of Montreux, Switzerland. Thanks to all the musicians that made these 35 years very special indeed and here’s to a few more … see you hopefully at a festival or gig very soon!